Cover image © Penguin Classics. When it comes to literary genres, I am the first to admit that Science Fiction is simply not something I ever even think twice about. I’ve never really liked Star Trek or Star Wars, and could just about muster the energy for one episode of The X-Files annually back in the 90s. With this in mind, I decided that if one is to start anywhere with Science Fiction, one should do so with the grandfather of modern Sci-Fi, H.G. Wells – also the new cover art for the Penguin Classics reprint appealed to me! First published in 1895, the novella is told by an unnamed narrator who is friends with an inventor, enigmatically referred to only as the Time Traveller. A week after discussing the theoretical possibility of time travel, the Time Traveller invites the narrator and a group of friends to dinner at his house in Richmond, but is conspicuous in his absence. Midway through the dinner, the Time Traveller arrives looking dishevelled, tired and covered in dirt. After a short while, during which he tidies himself up, he returns to the dining room, and, having directed that his guests move to the laboratory, starts to tell his tale in the suitably ominous gloom. He explains how he had travelled forward in time to the year 802,701 AD and found that the human race had divided into two separate species – the placid, childlike and unintelligent surface-dwelling Eloi, and the ape-like, light-fearing underground-dwelling Morlocks. He rescues one of the Eloi, called Weena, learns some of the Eloi language and they form a bit of an attachment to each other. During his journey, the Time Traveller slowly discovers that the two new human species are in fact evolutions of different social classes, with the Eloi being the former ruling elite and the Morlocks the working-class. Complacency and a lack of any need for intelligence, over time, have left the Eloi mentally weak and unable to defend themselves against attack. The Morlocks, by contrast, have managed to turn the tables, praying on the docility of the Eloi and effectively using them as a farmer would cattle. Far from the technology and society have moved forward, it appears that humanity has in some way retrogressed. 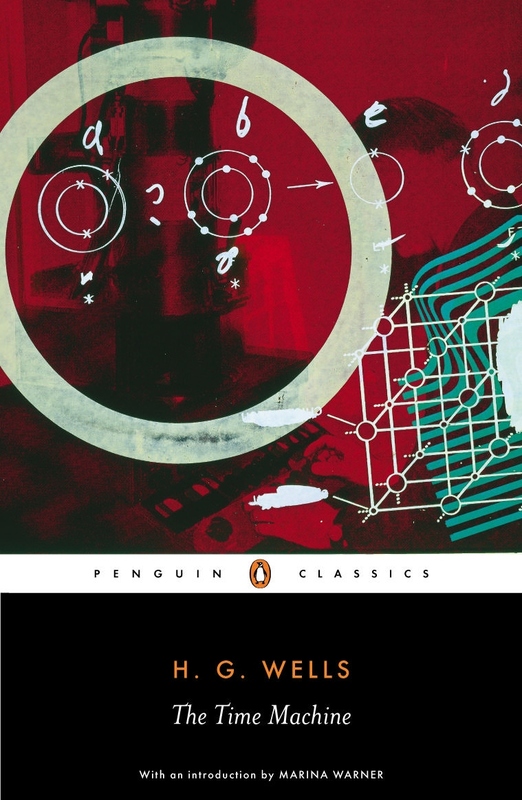 When you consider the time in which this novella was written, within an increasingly industrialised and urbanised Britain, where workers were being forced to live and work in increasingly awful conditions, it is unsurprising that Wells’ vision of the future turns out to be a dark one. Although, for the first few chapters, the reader is fooled into believing the Time Traveller has stumbled upon a Utopian world, it soon becomes clear that this is not the case. There is a real sense of a planet that is dying out in this story, which makes it so compelling to read. One could easily assume that it is an allegorical Socialist narrative about the suppression of the working classes, or more simply it could just be a warning on letting our social and technological advances go too far. Is it still relevant to the modern world? Very much so.